When I’ve been eating low carb for a while, I start missing foods that I used to eat regularly. 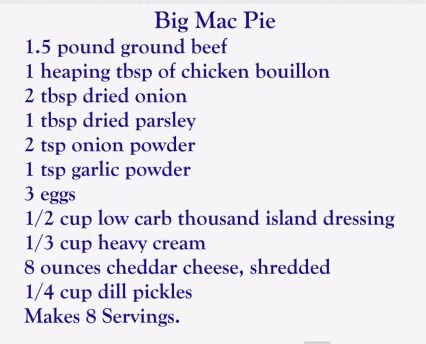 That’s why I’m really excited about this recipe for Low Carb Big Mac Pie. I can’t eat it in the car while I’m on a long road trip, but it will fulfill my cravings for one of my old favorites. 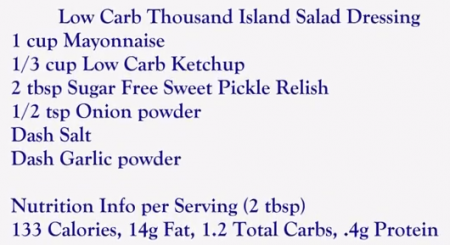 Next time I’m craving a Big Mac, I think I’ll whip this recipe up. It looks delicious and sometimes I really need a way to get past my cravings. Next: Be Yourself? Worst Advice EVAR!